Our Secret to Natural Beauty: Starts from the Inside Out with PEO's! Critical information for Doctors, Wellness Professionals, Spa Directors, Anti-cellulite treatment centers, Dermatologist, OB/GYN, Oncologists, Wound care specialists and Diabetic treatment specialists. To purchase PEO Solution book or ereader, visit Pinnacle Press. 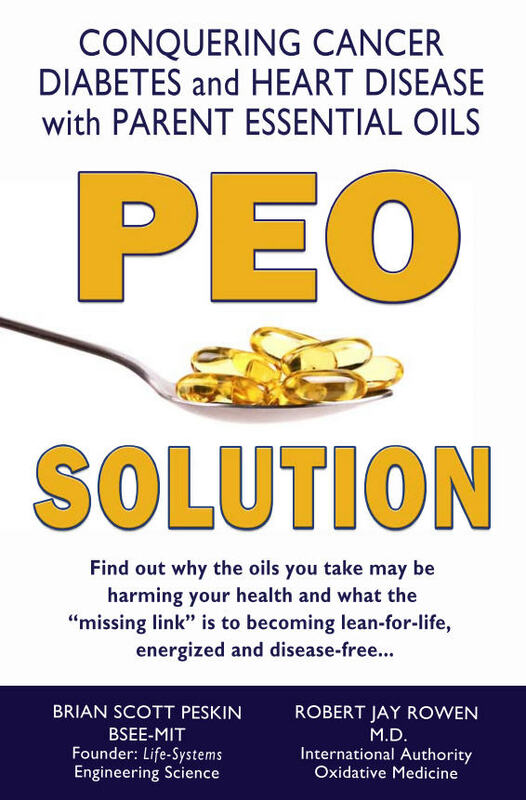 To purchase the Yes Parent Essential Oils (PEO's) referenced in the PEO Solution by Brian Peskin and Robert Rowen, MD, link here.